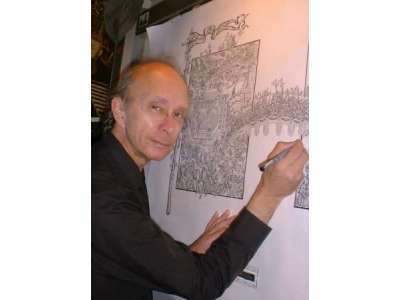 Jurak A Pütter was born in Edinburgh in 1944 to a Polish father. His family moved to St Andrews when he was two and he was educated at Madras College there, and at the Edinburgh College of Art. From an early age he was fascinated with history and particularly history around St Andrews and Fife. 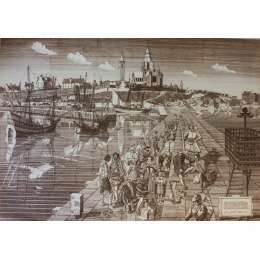 He produced a set of prints of St Andrews set in the middle ages. 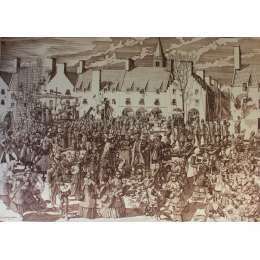 He spent many months on each print in researching and drawing in great detail each image. 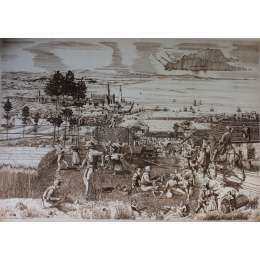 In 1966 he established the Grafic Orzel Design Studio in St Andrews and embarked on the Historical Illustration Project of St Andrew’s which has become His major life’s work. 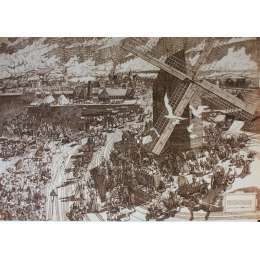 He has exhibited in several places and in 1974 he won a design centre award for the production of Art Posters for Fife. 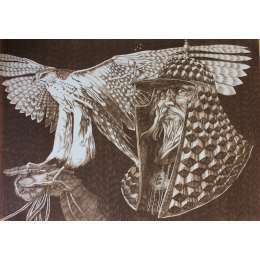 A detailed print of a medeival falconer with falcon by Jurek A Putter. 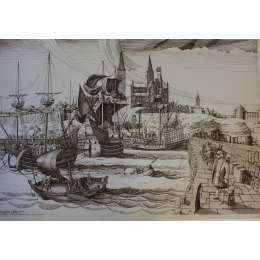 A limited edition print of St Andrews, Scotland set in the middle ages by Jurek A Putter.